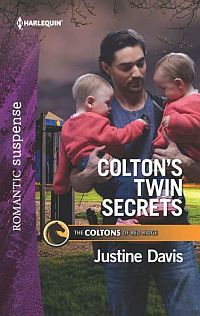 As the release date for my fourth Coltons continuity book for Harlequin (Coltons Twin Secrets, September 1st/4th for e and print) approaches, and I’m about to start writing my fifth, it occurred to me that some readers might not have any idea, or just a vague one, about what these are and how they happen. So first, what they are. A continuity series is a string of books, usually twelve, one for each month of a year. Each book within the continuity is a stand alone romance, with its own plotline, but within in it are crucial pieces of an overall story arc that begins in book one and is wrapped up in book twelve. The entire process is very intricate, since the setting is the same and all the descriptions of both people and places must coordinate. Needless to say there’s a lot emailing between authors who have the same building/place/secondary characters in their stories! As for how they happen, that’s a different story. With the Coltons (and what an amazing and far-flung family they are!) the books are brainstormed by the publisher/editors (and probably some others) in New York. I’m not sure exactly how they process things, and I have a feeling I’m happier that way. I’m sure there’s a lot of healthy discussion. But it results in an intricate overall plot line and 12 sets of characters to carry it, plus those character’s individual stories. Then authors are chosen for each of the twelve books (although some may be on the list before the brainstorming is actually done) and we’re off to the races.